The recent confession by David Headley, a Chicago Pakistani-American, that he scouted targets for Lashkar-e Tayyiba's deadly attacks in Mumbai, India provides just the latest evidence that the Pakistan-based terrorist group has expanded into a worldwide threat -- and increasingly is recruiting U.S. residents as participants in its murderous campaign. While still described as a "farm team for al Qaida," the Pakistani group is rapidly honing its own credentials in the major leagues of Islamic terrorism. A new analysis of Lashkar's history prepared by the Investigative Project on Terrorism (IPT) documents the group's evolution since its 1989 founding as a proxy of the Pakistani government's conflict with India, providing recruits to push the Islamic insurgency in Indian Kashmir. Read the full report here. Early on, it notes, Lashkar's focus was broadened to include a generalized campaign of terror against the West. 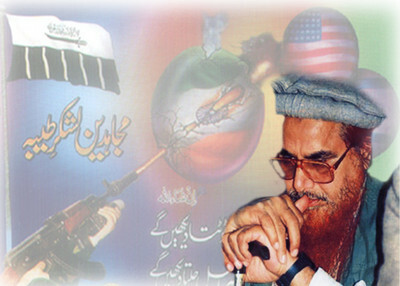 By 2003, a founder of the group, Hafiz Saeed, urged his followers to "fight against the evil trio: America, Israel, and India." Broadening its base of operations, today the group has coordinated attacks on Western forces in Afghanistan and Iraq. The report discusses increased cooperative efforts by Lashkar with al Qaida and other terrorist groups -- the Afghan Taliban, Tehrik-i-Taliban (the Pakistani Taliban), Harakat-ul-Jihadi-Islami and Jaish-e-Muhammad. Meanwhile, Pakistan has been slow to act against the group and its various fronts, with some government ministers offering unabashed praise. Moreover, the IPT analysis details the shift to expanded recruitment in the West. Among those who passed through Lashkar training camps it cites an Australian-born al Qaida operative named David Hicks, convicted "shoe bomber" Richard Reid, and Dhiren Barot, who planned a failed gas-cylinder bombing in London. The report focuses most closely on four recent successful efforts to shut down homegrown U.S. jihadists like Headley -- terrorists who journeyed overseas to Lashkar training camps, and participated in operations starting with those of the so-called "Virginia Paintball Jihad Network" and culminating in the 2008 attacks on train stations, hotels, restaurants and other public sites in Mumbai that killed 166 people, including six Americans. The "Paintball" case that began a decade ago still ranks as the largest known American-based terror cell connected to Lashkar. By the end of the Justice Department's investigation, more than a dozen conspirators had been implicated. All but two of them were found guilty on charges related to their support for and participation in a Lashkar plot to carry out attacks against U.S. troops in Afghanistan, and sentenced to lengthy prison terms. The entire conspiracy was initiated in 2000 when one of its members, Randall Todd Royer, travelled to Pakistan to attend a Lashkar terrorist training camp. He and his fellow jihadists earned the "paintball" soubriquet when they decided, soon after his return from Lahore, to use that game as a way of preparing for jihad. The "games" were initially played at public courses, but eventually were moved to private farmland in Spotsylvania County, Virginia, to avoid suspicion. Within weeks after al Qaida's 9-11 attacks on the World Trade Center and the Pentagon the following year, other members of the group followed Royer's path to Pakistani camps, where they advanced from their paintball pursuits to training in using such weapons as AK-47 rifles, machine guns, anti-aircraft guns and rocket-propelled grenades. The 2004 indictment of one of the group's ringleaders, Ali Al-Timimi, indicates that he spurred on his colleagues with assurances that they would die as martyrs if they were killed fighting Americans in Afghanistan. He recommended Lashkar as the group with which to affiliate, the records show, because "its belief system was good and it focused on combat." Sentencing Al-Timimi to life in prison the following year, Judge Leonie Brinkema stressed the threat posed by Lashkar and its U.S.-based recruits. "I don't think that any well-read person can doubt the truth that terrorist camps are an essential part of the new terrorism that is perpetrated in the world today…People of good will need to do whatever they can to stop that," she declared. In 2005, agents of the FBI Terrorism Task Force uncovered evidence that another group of American homegrown would-be jihadists had sought out Lashkar for training in terrorism. Working largely through a confidential informant, the Bureau developed information that led to the indictment and conviction of four conspirators on charges of providing material support to Lashkar and related terrorism offenses. They received prison sentences ranging from 13 to just under 30 years. Yet a third plot involving domestic terrorists setting up a Lashkar training connection in the post-9-11 period was discovered, this one based in northwestern Georgia. Investigation of this case uncovered a new wrinkle that demonstrated the global reach terrorist groups have attained in the age of the Internet. Those involved, it was discovered, had used Internet messaging to develop relationships and maintain contact with each other and with likeminded supporters of violent jihad in the United States, Canada, the United Kingdom, Pakistan, Bosnia and elsewhere. Thus, according to federal prosecutors, they discussed with Canadian counterparts plans to carry out attacks in the two countries and abroad, identifying "strategic locations in the United States that were suitable for terrorist attack, including military bases and oil storage facilities and refineries." They discussed specific plans to attack the Dobbins Air Reserve Base in Marietta, Georgia, the 2006 criminal indictment charged, and later travelled to the Washington, D.C. area to scout possible targets. There they took video recordings of symbolic and infrastructure targets including the U.S. Capitol, the headquarters of the World Bank, the Masonic Temple in Alexandria, Virginia, and fuel storage tanks near a major highway in Northern Virginia. The videos were sent via an encrypted e-mail to an al Qaida operative in Britain. Convicted in 2009 of conspiring to provide material support to Lashkar, the two Georgia men were sentenced to, respectively, 13 and 17 years in prison. Disturbing tales of nascent terrorism, one and all. But they pale in outright viciousness -- and effectiveness --when compared with the case involving Chicagoan David Headley. Headley was far from a novice terrorist in late 2006 when, records show, he began his specific task of scouting targets for Lashkar's planned attacks on a range of targets in Mumbai, India. Born in 1960 in Washington, D.C., the son of a Pakistani father and an American mother, Headley had become sufficiently radicalized by early 2002 that he made repeated trips to Lashkar sites in Pakistan to receive paramilitary training. To create a cover for his upcoming trips to India, he changed his last name, Gilani, to his mother's more American-sounding maiden name, Headley, and he arranged with co-conspirator Ahawwur Hussain Rana, a Pakistani-Canadian, to pass himself off as an employee of Rana's company, First World Immigration, to justify his numerous trips. Even as his Mumbai assignment was gathering steam, Headley had been deeply involved in planning an attack against Jyllands-Posten, the Danish newspaper that had alienated many Muslims by publishing what were deemed offensive cartoons of the Prophet Muhammad. That plot was largely deferred as he took on his Lashkar assignment, taking multiple trips to India during which he took video footage of such sites as the Taj Mahal and Oberoi hotels, the Leopold Café, the Nariman House and the Chhatrapati Shivaji Terminus train station. In preparation for an attack by sea, he followed Lashkar's instructions to take more videos on an April 2008 series of boat trips in and around the Mumbai harbor; he then returned to Pakistan to offer his recommendations for potential landing sites. Headley's efforts came to fruition on November 26, 2008, when 10 attackers trained by Lashkar carried out multiple assaults over a two-day period. Using guns, grenades and improvised explosive devices, they terrorized Mumbai, gunning down more than 160 innocent civilians at a train station, hospital, two five-star hotels, a Jewish center and a restaurant frequented by Westerners. By the start of 2009, Headley was once again fully focused on the projected attack on Jyllands-Posten -- by then referred to as The Mickey Mouse Project, or MMP, -- in coded communications with Rana and others. But Lashkar withdrew from the plan due to an international crackdown in the wake of the Mumbai attacks. Headley was arrested at Chicago's O'Hare International Airport on October 3, 2009 before the Mickey Mouse Project could be carried out, and Rana was arrested two weeks later. Commenting on the arrests, David Kris, assistant attorney general for national security, called the case "a reminder that the threat posed by international terrorist organizations is global in nature and requires constant vigilance at home and abroad." On March 18, 2010, Headley pled guilty to providing material support to Lashkar and a variety of other terrorism-related offenses. He has cooperated with the government in return for a commitment by the U.S. Attorney's office that it will not seek the death penalty. His sentencing has been deferred pending completion of his cooperation agreement. Meanwhile, the Justice Department reported that he had been made available for extensive questioning by Indian investigators, who interviewed him over a seven-day period starting June 3, 2010. Rana, who has pled guilty, remains in federal custody while awaiting trial. And what can be done to curb the growing reach and increasing clout of Lashkar and similar Pakistan-based groups in the international terrorist firmament evidenced in all of these cases? A comment by Bruce Riedel, a counterterrorism expert at the Brookings Institution in Washington, in an article published in the May 6, 2010 issue of TIME magazine puts the situation in sharp focus. The Administration's best approach, Riedel said, is to launch a "global takedown" of Pakistani jihad cells outside Pakistan, especially in Britain, the U.S. and the Middle East. "These external bases are the most threatening to us, much more than their operations in Pakistan," he warned. To read the full IPT report on Lashkar-e Tayyiba, click here. It would have been more useful if the article listed the names and ethnic origin of these terrorists, for example, the "paintball terrorists" were ethnic Pakistanis.